In 36 of the street Brisson, 36 Quai des Arts holds it its shop. 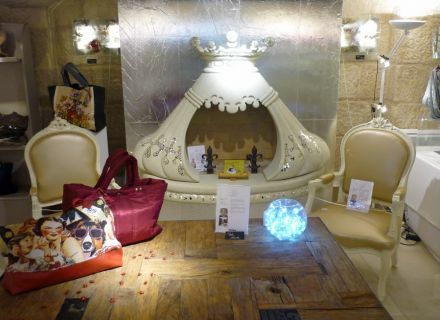 Under the square of halls, in a stone arched space, Florence Piel assures the welcome and the advice. Jewels, sculptures, fabrics, tableware, fashion accessories… the works of the professionals of art professions offer themselves for me. 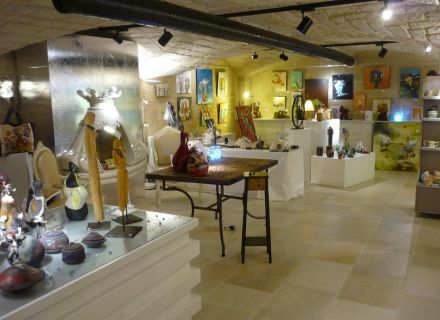 They are more than 30 to join in 36 Quai des Arts in Deux-Sèvres, from diverse jobs : ceramist, cabinet maker, leather worker, mosaïste of art, photographer… More than a shop, it is a real place of exhibition ! 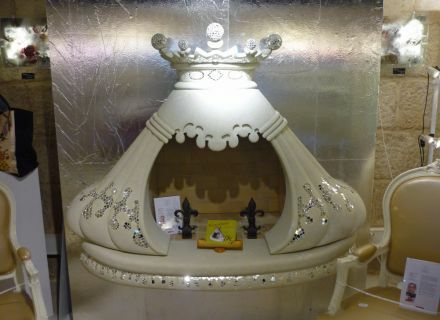 For a city as Niort, certified "City and art professions", it is a real chance of a lifetime to possess such a shop to promote the wealth and the diversity of the art professions of the department. And at the approach of Christmas, it is also a chance of a lifetime for the people in lack of gifts. 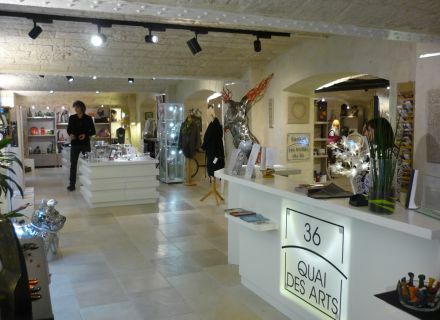 In 36 Quai des Arts, you are sure to find sometimes unique, quality works, which will please your circle of acquaintances. Inaugurated in July, 2014, the shop of 36 Quai des Arts welcomes every 3 months a creative craftsman and an artist. 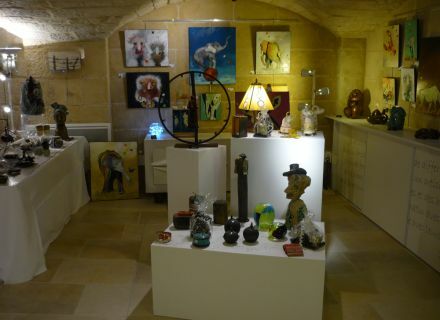 At present, the painter Laurent Dibot and the sculptor Olivier Martin are for the honor till the end of December. They will be replaced from January by 2 new guests. It is the opportunity to come regularly to discover new works. You see, the art, and the artists, are not inaccessible, then meeting in 36 !